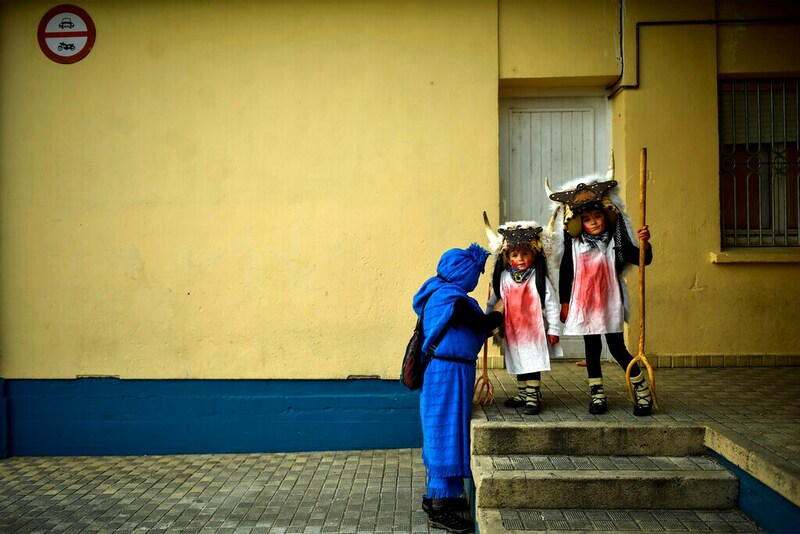 Dozens of devil-like figures dance and convulse at the sound of cowbells, chasing onlookers with pitchforks in Alsasua as part of this northern Spanish town's Carnival. 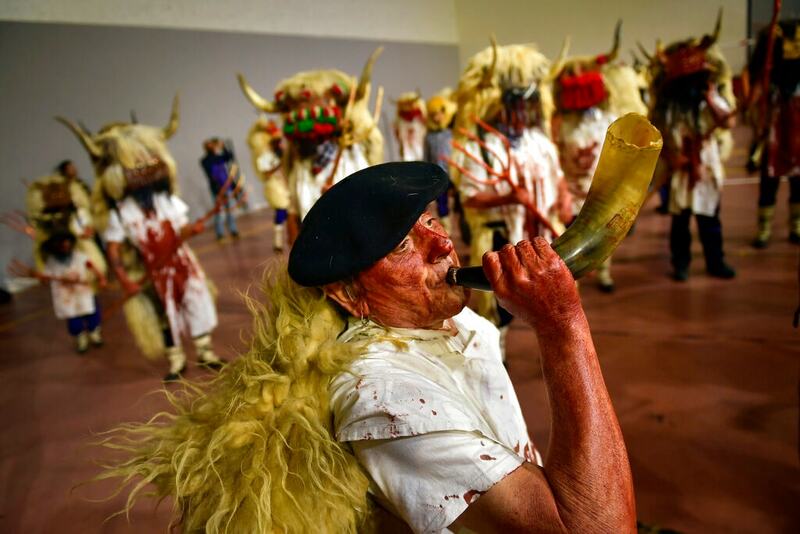 Alsasua is one of several villages in this remote region in the foothills of Pyrenees Mountains that still honour these colourful local festivities whose origin is unknown. 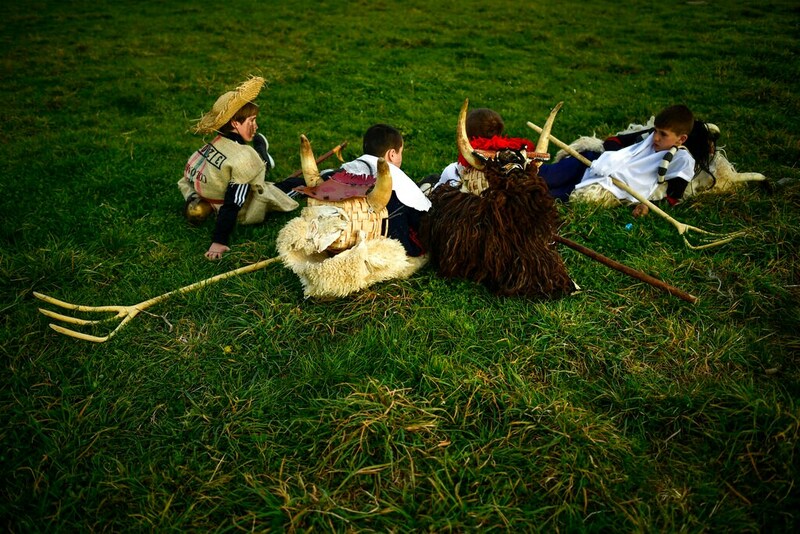 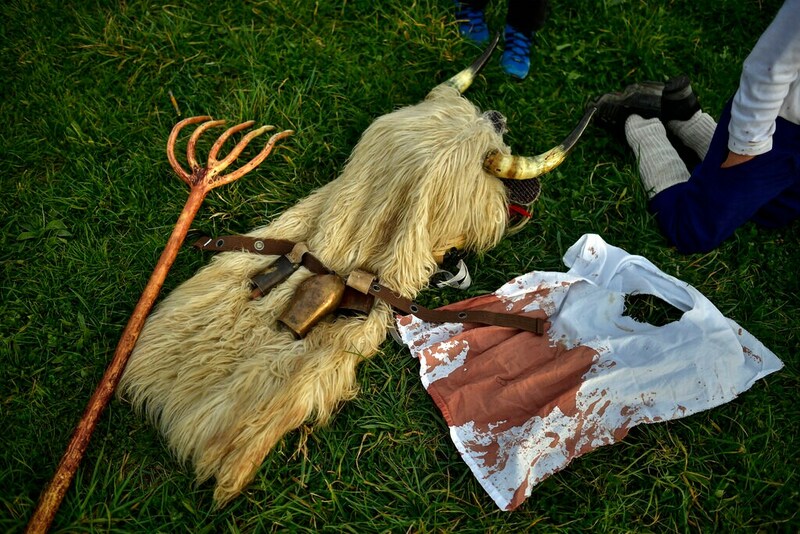 Called "momotxorros" in the Basque language, these half-human and half-animal creatures display the skin of sheep on their backs and white long pieces of sheets stained with bright-red animal blood on the front. 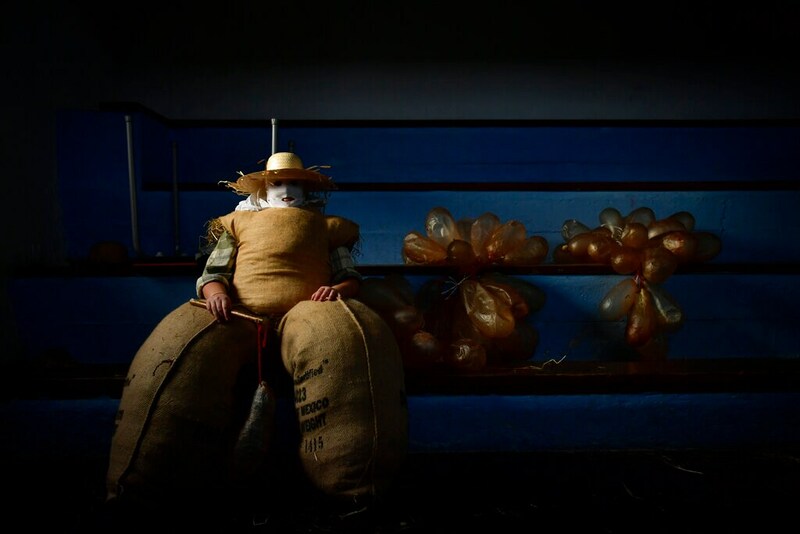 The heads are topped with the horns of a bull over a basket normally used for agricultural produce, and horsehair covers the faces of anonymous revellers taking part in the riotous celebration. 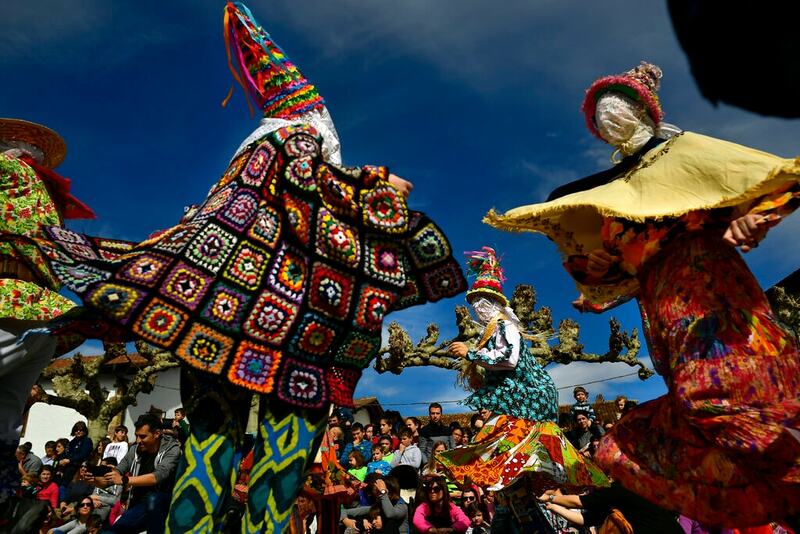 In this fashion, the "momotxorros" dance around bonfires and roam the cobbled streets of this town of 7,500 until everybody converges in a central square for a grand finale in which everyone dances in a big circle. 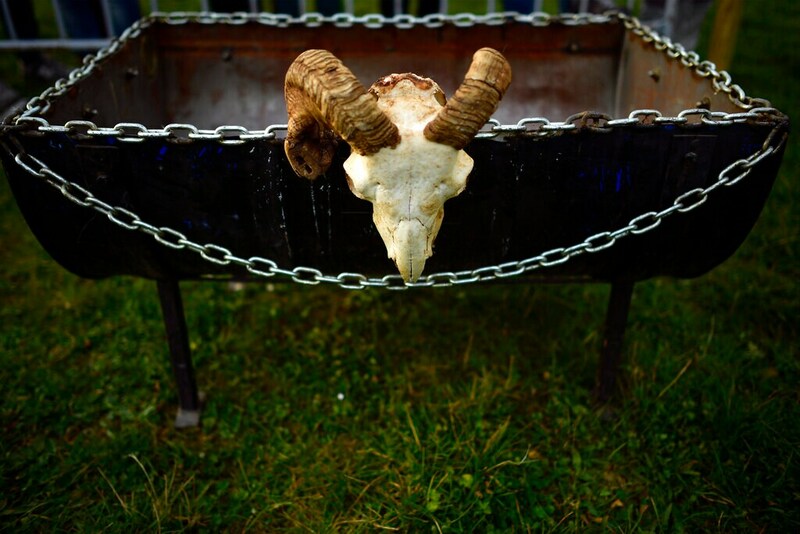 By then, they are joined by other mythical characters including a billy goat, known locally as an "akerra" — representing the devil — and lascivious "sorginak," or witches. 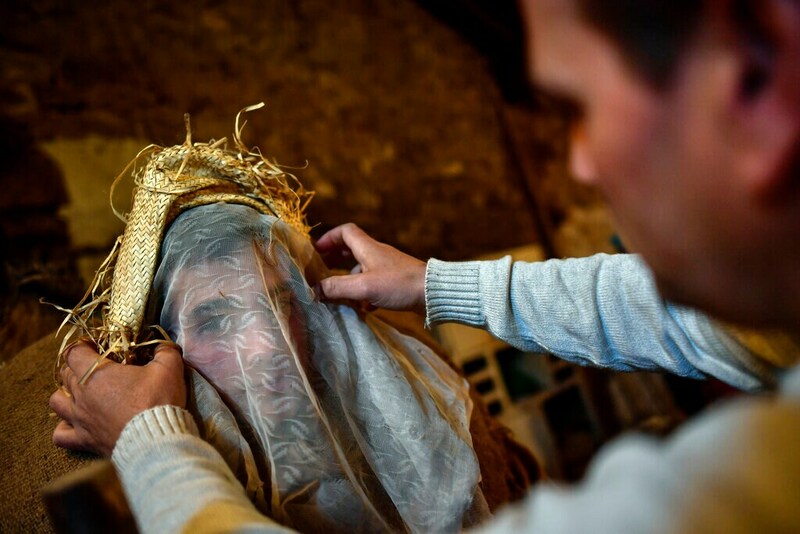 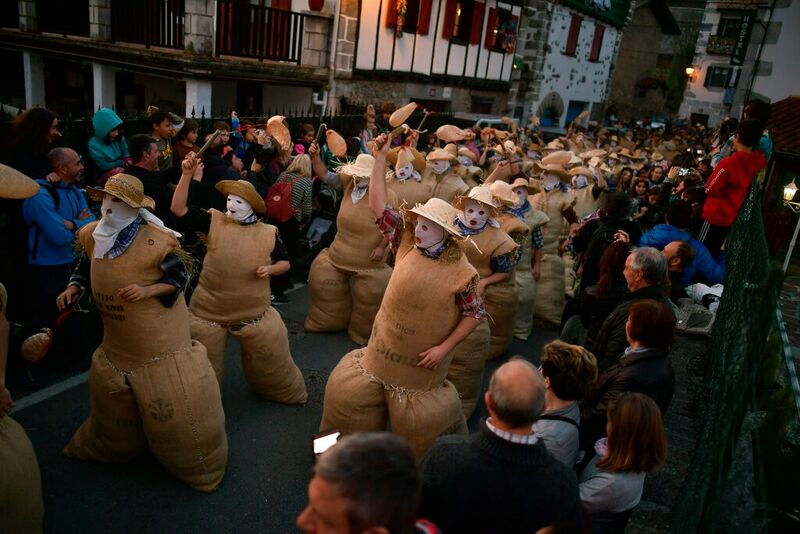 In the nearby village of Lesaka, residents dress up as the traditional Carnival characters "Zaku Zaharrak," meaning "old sack" in the local Basque language. 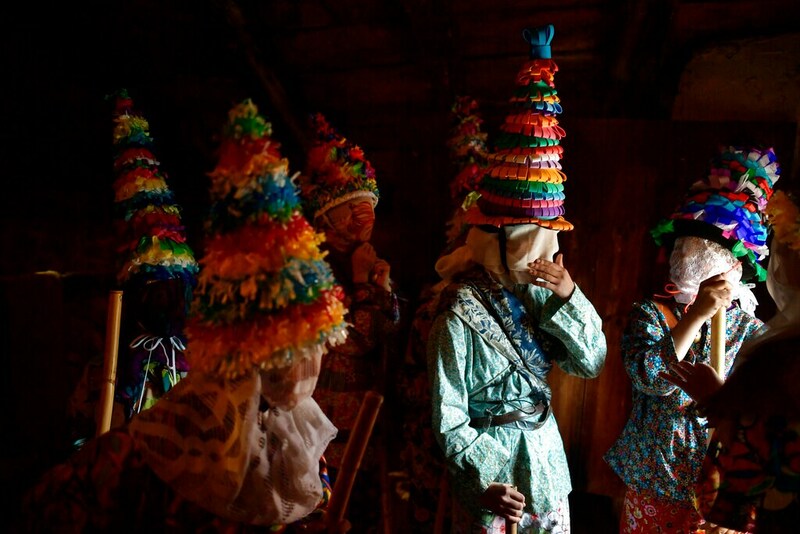 After sunset, covering their faces with white handkerchiefs, stuffed into sacks full of straw, and holding a stick with an inflated animal's bladder used to hit people, the Zaku Zaharrak characters parade for hours through the village dancing and singing while a band plays music. 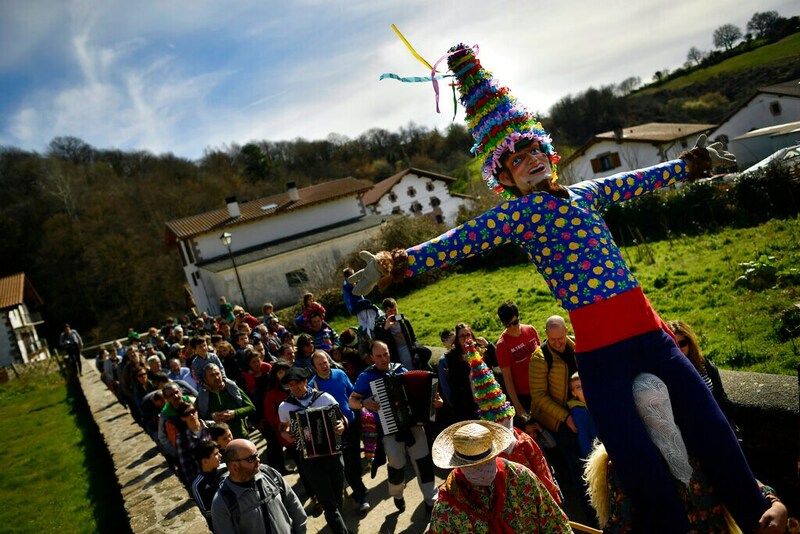 Meanwhile, the townsfolk of the village of Lantz parade a giant "Miel Otxin", a legendary bandit and symbol of their Carnival festivities. 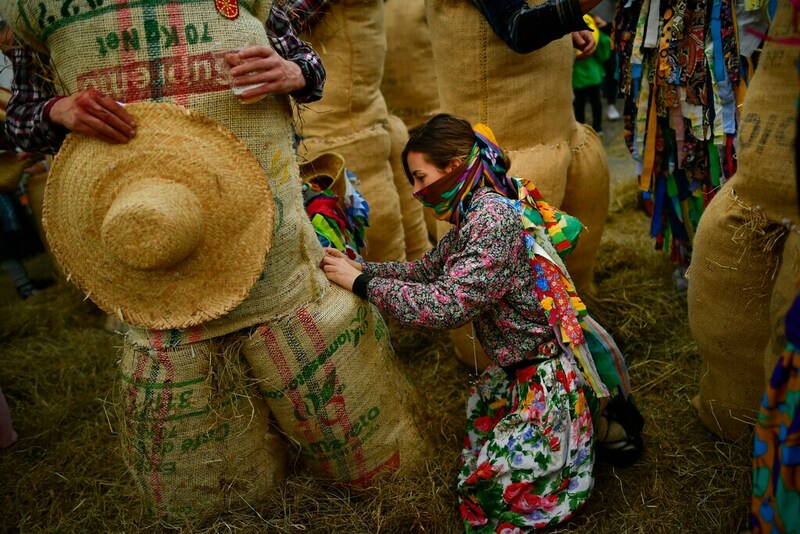 The straw filling the "Miel Otxin" doll is removed and burnt. 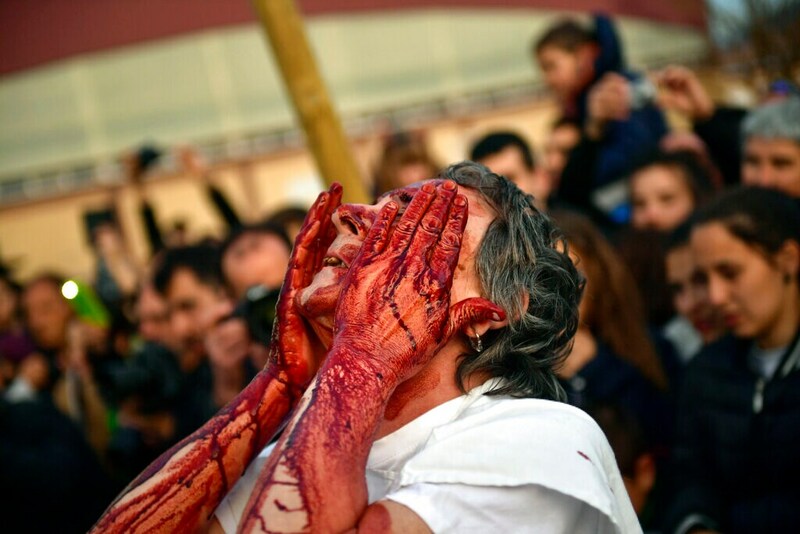 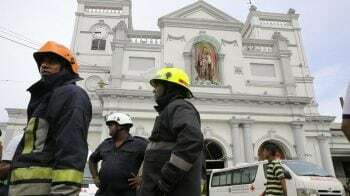 These traditions have been celebrated for centuries, days before the official start of Lent, the 40-day period when Christians around the world prepare to mark Easter, the remembrance of Jesus' death.